English literature is the study of literature written in the English language. In this degree program, you’ll become a skilled reader and interpreter of literary works, films, media creations and cultural phenomena. Understanding literature is multidimensional, and includes the consideration of the artistic, historical, cultural and theoretical contexts that inform imaginative creations. The literature major is well suited for students interested in graduate studies in English or law school. 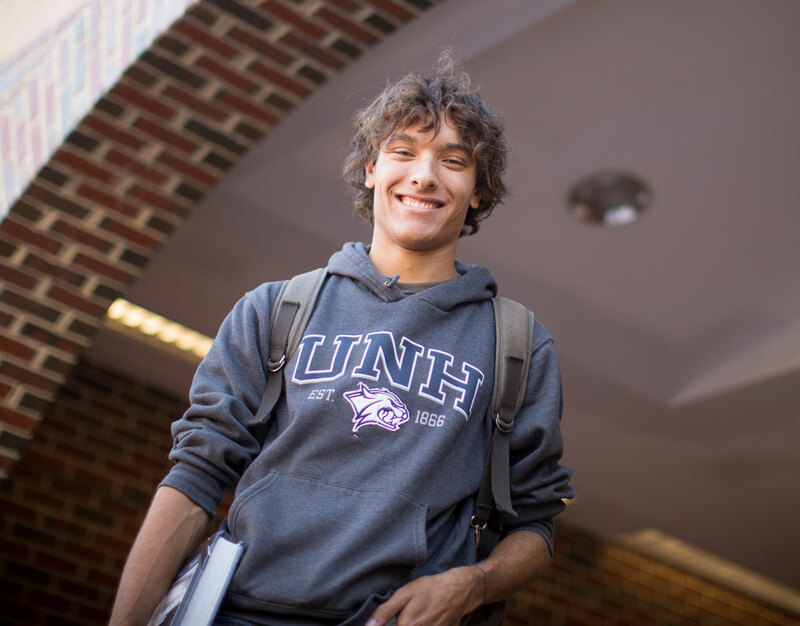 Why study English literature at UNH? Our small class sizes allow you to work closely with faculty while exploring English literature in depth. We also offer a variety of special programs, including opportunities abroad studying literature at Cambridge University and travel writing in London. In our Writers and Speakers Series, you’ll hear published writers and prominent literary scholars from around the country talk about their work. Our 3+3 program offers the possibility of earning both a bachelor's degree and a law degree in six – rather than seven – years of study. The English literature major serves those students who want to focus particularly on the study of literature — its many forms and styles, its rich history, and the range of approaches to its analysis. The English literature track is an especially attractive major for those who plan to go on to graduate school in English or other fields in the humanities, but it is also an excellent program for those who want to develop an in-depth knowledge of literature in English in all its formal, historical, cultural and theoretical dimensions. As an English Literature major, a student will learn about various literary traditions, both British and American literature as well as traditions organized around other principles, such as post-colonial literature, women's literature, African-American literature and genres like poetry and drama. Courses are designed to expose students to many different sorts of works and to help them develop questions and strategies of critical thinking that will make all kinds of literary expression meaningful. And the works students will study will provide many ways of looking at the world and enrich their quality of life. What's more, students have many opportunities to hone critical writing and research skills and to practice the art of presenting research findings to a group, all skills in high demand in today's workplace. The English literature major is an excellent way to combine development of interpretive and writing skills with an exciting, in-depth encounter with some of the very best writing ever produced in the English language. As an English literature major, you must complete a minimum of 40 credits of major coursework with a grade of C- or better, with the exception of ENGL 419 Introduction to Literary Analysis, which you must complete with a grade of C or better. You may not use ENGL 401 First-Year Writing, ENGL 403 Exploring Literature, ENGL 415s, "Literature and..." courses, or ENGL 444 classes to satisfy major requirements. A minimum of six courses must be completed at the 600 level or higher. This must be completed with a minimum grade of “C.” ENGL 419 Introduction to Literary Analysis is the only 400-level class that may count towards the English Literature major. ENGL 403 Exploring Literature will NOT count towards this major. Either two advanced courses, or one advanced course and one of the following: ENGL 514 British Literature III: Revolts, Renewals, Migrations, ENGL 515 American Literature I Conquest and Nation: First Contact to the Civil War or ENGL 516 American Literature II Money, Migration, and Modernity: Huck Finn to Beloved. English literature majors may use one major-required course to satisfy one Discovery category requirement. Majors may only count one online course toward their English major requirements. 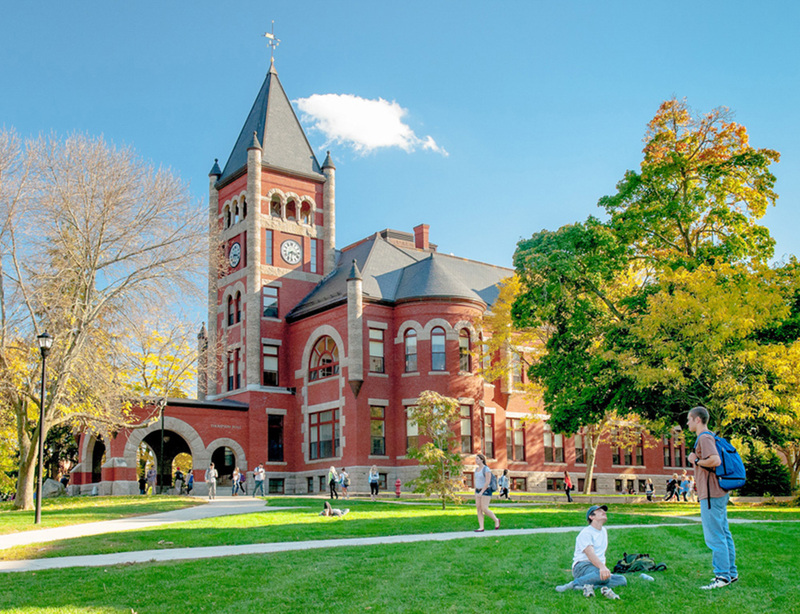 Students interested in majoring in English Literature should consult Carla Cannizzaro, Coordinator of the Department of English, 230F Hamilton Smith Hall, (603) 862-1313 or the director of the English Literature program.